The size watercolor paper I buy often leaves me with narrow scraps that are hard to use after I've cut it up for my watercolor images. I've finally found a good use for these scraps as dimensionals. Sometimes I want to pop something off the face of a card or scrapbook page just a little - not as much as a spongy dimensional. Using a layer of another material - like watercolor paper - between layers of cardstock gives me that little bit of space. You could also use some scrap chipboard. Another thing about regular dimensionals - it can take a lot of them to fill up a space. I would have needed probably 9 or 10 to do this card. Using scrap watercolor paper is economical and ensures the card won't get crushed anywhere in the center. 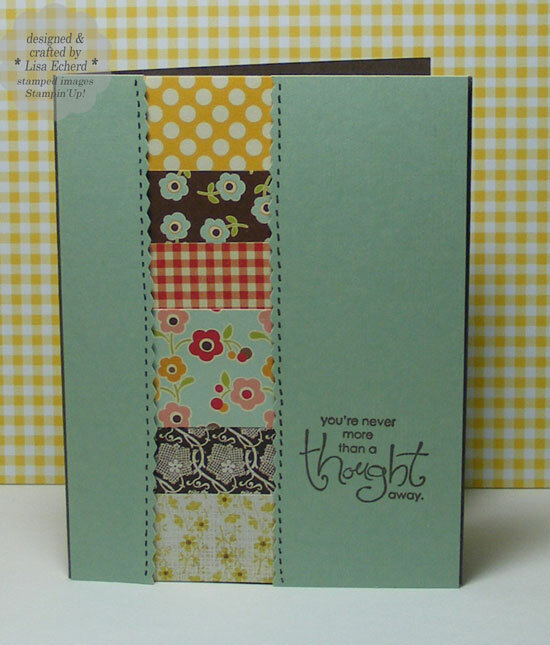 This design is for Splitcoaststampers Clean and Simple cards challenge. The only stamped image allowed was a sentiment. 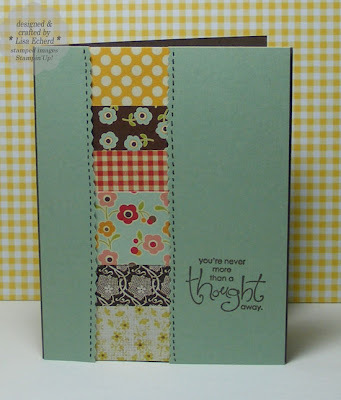 I just wanted to use up some scrap designer paper. 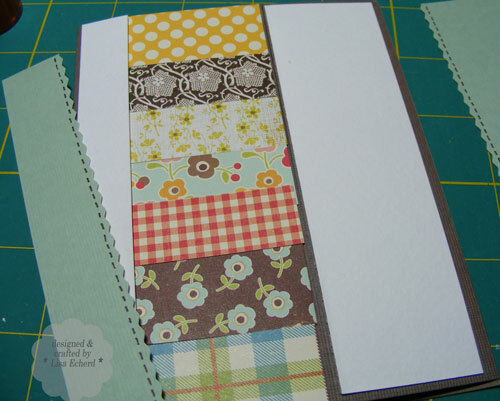 I marked vertical lines on my card base to guide placement of the little strips of scrap paper. The strips were 2" wide but only about 1 1/4" is showing. The watercolor strips are trimmed down to about 1/4" less than the aqua cardstock. 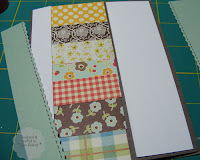 I used Tombow Mono tape runner adhesive to hold the layers of watercolor paper and cardstock together. 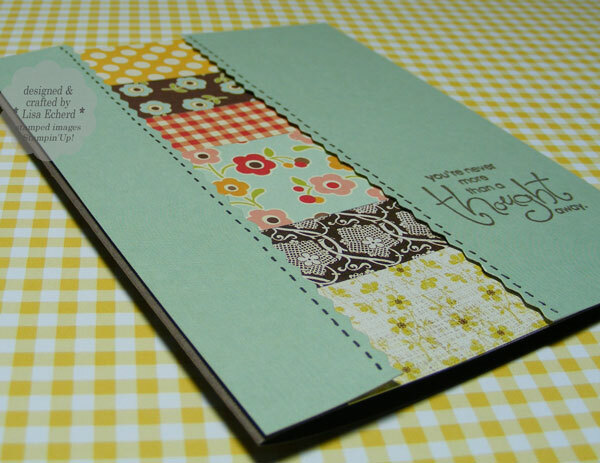 Ingredients: Stamp Sets: Whimsical Words by Stampin' Up!